The latest round in the heavyweight battle between Philadelphia's most prolific restaurateurs, Jose Garces and Stephen Starr, centers on Cuban cuisine. 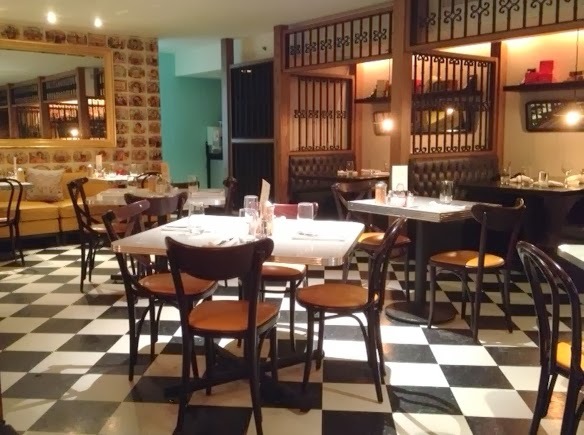 With Starr's longstanding Alma de Cuba maintaining a foothold near Rittenhouse Square, Garces recently opened Rosa Blanca (707 Chestnut St., 215-925-5555), an all-day Cuban diner at the location that previously housed his Asian fusion restaurant, Chifa, on the east side of Broad Street. At the early stages of this round, the challenger is behind on at least one scorecard. Perhaps Rosa Blanca is still in training - the original chef, Yun Fuentes, left less than a month after the restaurant opened - but the food and service on our family's post-chef change visit was not up to the high standards set at our meals at two other Garces properties, Distrito and Village Whiskey. The four of us had a late lunch in Rosa Blanca's main dining room on a recent Saturday, opting for a variety of entrees. (Breakfast is served throughout the day, so eggs and omelets are always available.) 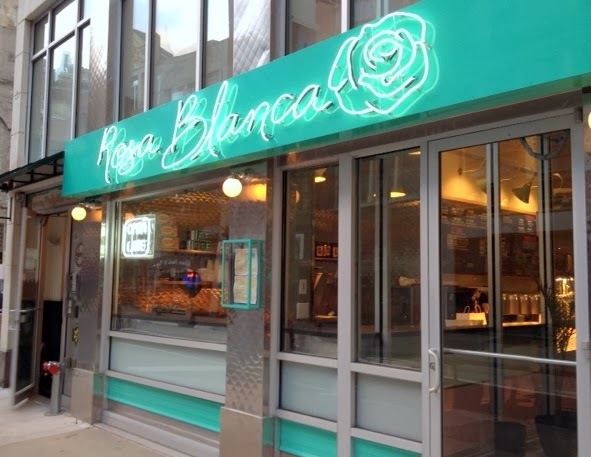 Unlike most of Garces's other Philadelphia restaurants, Rosa Blanca doesn't yet have a gluten-free menu, and there were several instances of back-and-forth between the server and the kitchen to confirm which dishes and sides were, in fact, safe. Most of the entrees, along with several soups, salads and small plates like the ceviche, are gluten free. Although the sharply decorated diner wasn't crowded at the time of our off-hours visit, we waited more than 30 minutes for our entrees to be served. Though our 10-year-old's grilled skirt steak ($22) was still sizzling on his plate, the other visually appealing dishes - our older son's ground beef hash ($13), my wife's half rotisserie chicken ($16) and my ropa vieja brisket ($14) - were merely lukewarm to the touch. Though the heat helped, the perfectly marinated steak was the standout platter, though I'd also order the picadillo hash, layered with rice and beans and topped with diced potatoes, at a return visit. 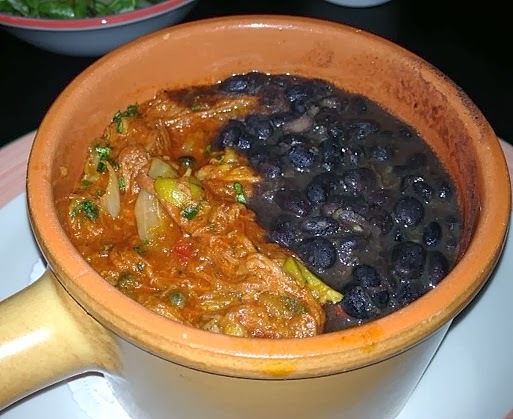 A number of sides, including beans, rice and sauteed spinach, are gluten free, though not the maduros as prepared. 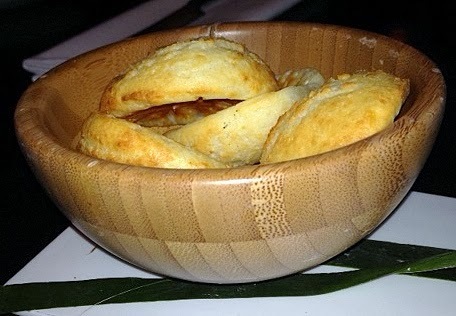 The complimentary gluten-free cheese bread - terrific as it was paired with a sweet guava butter - wasn't served until after the entrees arrived table-side. There's usually at least one dessert gluten-free dessert option; at the time of our meal, it was pumpkin flan. Rosa Blanca also has a lengthy list of more than 60 rums. If you're a Garces devotee - and there are many, including these judges - you'll likely enjoy Rosa Blanca with reduced expectations and take the restaurant for what it is right now: evolutionary rather than revolutionary. The hope here is that Rosa Blanca will hit the gym, pump some iron and soon help Garces contend for the title.